A Legendary Children’s Mystery author, Donald Sobol, Has Died. In checking things out on the WordPress scene, I ran across this wonderful tribute to Donald Sobol, the author of the iconic Encyclopedia Brown mysteries. I too, recommend the Encyclopedia Brown stories to all young readers — whether they’ve said they like mysteries or not. Who can resist reading a story that let’s you try to figure out the solution before giving it to you? Donald Sobol, author of the treasured “Encyclopedia Brown” mysteries. to go to the Lisle Library holdings for Donald Sobol’s books. Help a young reader become acquainted with Encyclopedia Brown for their summer reading — a gift and a tribute at the same time! 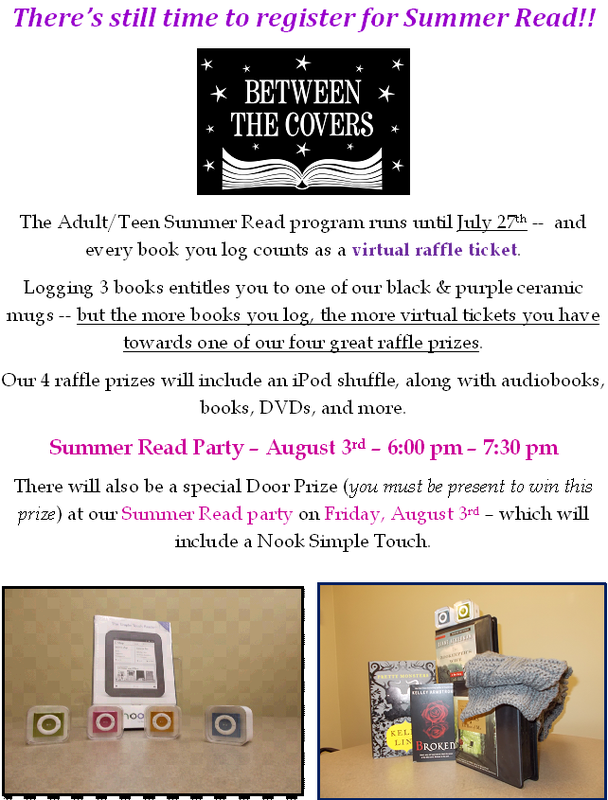 There’s Still Time to Register for the Adult Summer Read, Enter Books Into Your Log, & Multiply Your Chances For Our Great Summer Read Prizes! 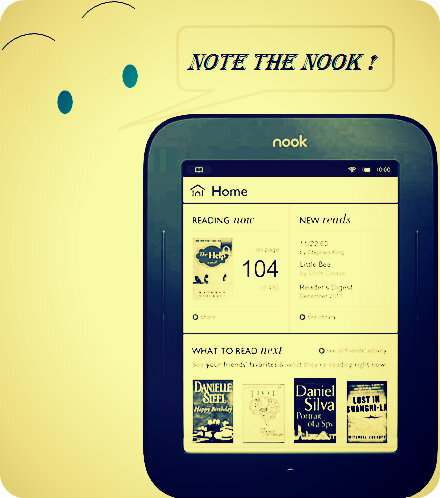 You must be present at the Adult Summer Read Party on August 3rd from 6:00-7:30 p.m. to win this fabulous Nook eReader prize!